With big teeth, squinty eyes, and a dashing mustache, this fellow is clearly up to no good. 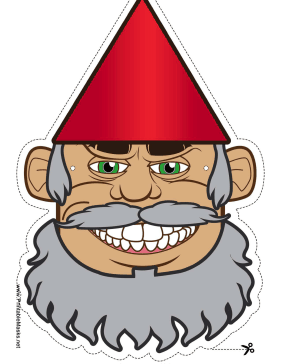 This mask will perfectly disguise you as a malicious little gnome with a gray beard. This mask is free to download and print.